I hope that you all are enjoying this week's Fresh Tasty Valentines! If you're just joining us, 20 bloggers have gotten together to create a week's worth of recipes and several sponsors have generously provided their products for some great giveaways! Today I am featuring Tangerine Hatch Chile Drumsticks made with Not Ketchup's Tangerine Hatch Chile All-Purpose Sauce. Not Ketchup sauces are made from ripe seasonal fruit and come in a variety of flavors. This Tangerine Hatch Chile All-Purpose Sauce has NO added sugar or artificial or non-nutritive sweeteners, and contains only 1g of sugar per serving. This sauce also doesn't contain anything artificial nor any preservatives. I give my brother credit for this recipe! When I got the sauce, I asked him for ideas about what he think I should make with the sauce. His idea was to make them into baked chicken wings, which is an idea that I loved. When I went to the grocery store to get the wings, I stood there looking at them and ended up picking up a package of drumsticks instead. I remembered a baked drumstick recipe that I tried years ago that I loved, so I decided to use my brother's idea but make it into a meal instead of an appetizer. 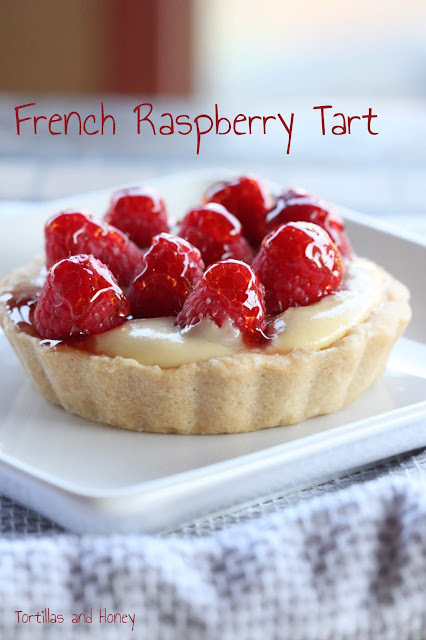 This recipe is incredible easy to make, but it does take a nice dose of time and attention in the oven. You don't need a lot of other ingredients except salt and pepper, and olive oil either. The sauce is very tangy, but the tangy-ness mutes as it caramelizes and sweetens in the oven. I will caution you that I suggest baking up only what you're going to eat that meal because the skin does become a little soggy when serving them up as leftovers. Eat these babies fresh! Not Ketchup has contributed a bottle of their Tangerine Hatch Chile All-Purpose Sauce to giveaway to one of our readers! Please see the entry form below to enter to win both of the giveaway and to also enter to win one of the numerous other prized provided by our generous sponsors! 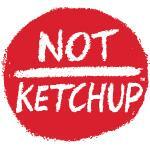 To find out more about Not Ketchup, please visit their website or social networks (Twitter, Facebook, Pinterest, Instagram, Google+)! Please come back tomorrow for more recipes, and please visit all of the participating bloggers and check out their recipes-- please see the bottom of the post for a link to all the other bloggers' recipes! This post was sponsored by Not Ketchup. While I was provided free product, I was not compensated for this post and, as always, the opinions of this post are all my own. In a large bowl, cover the drumsticks with 1/3 - 1/2 c. of the tangerine hatch chile sauce for 15 minutes up until 2 hours. Line a baking sheet with aluminum foil (makes for easy cleanup!) and spray with nonstick cooking spray. Remove the drumsticks from the bowl, turning to coat in the sauce, then place on the prepared baking sheet. Sprinkle the drumsticks with kosher salt and freshly ground black pepper, then drizzle lightly with olive oil. Bake for 20 minutes. After 20 minutes, reduce the heat to 350. Remove baking sheet from the oven and baste the drumsticks with some of the remaining sauce (I usually separate the remaining sauce into two small bowls in case of contamination). Drizzle lightly again with olive oil and place back in the oven. Bake for 10 minutes. Remove baking sheet from oven again, and baste drumsticks with the remaining sauce. Place back in the oven for an additional 10 minutes. After 10 minutes, check to see if skin has started to crisp and the sauce caramelized. If the skin hasn't begun to crisp and the sauce hasn't caramelized, put the chicken back into the oven and crank up the broiler and bake for a couple of more minutes. What a fantastic way to use this lovely sauce! 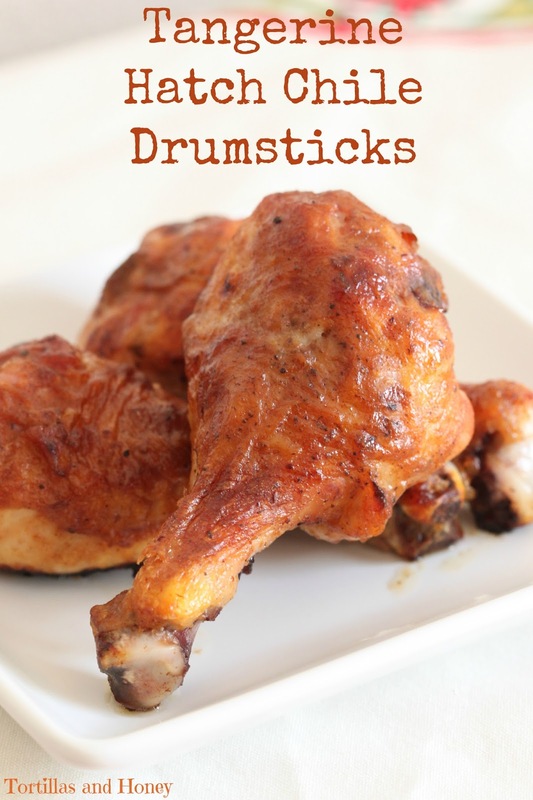 Those drumsticks look divine! Can't go wrong with that sauce and some chicken I think - sounds delicious! Yum yum I love that sauce! That sauce is the perfect foil for chicken. It is really hard to pick a favorite, but this just might be one of my favorite products from the sponsors. Nothing better than a drumstick in my opinion and I love that you used my Tangerine Hatch Chile Not Ketchup sauce this way! Thank you for a delicious recipe! Totally awesome!! That sauce is a fantastic complement to chicken!